Home to over 40 bars, 55 restaurants, and 65 retail shops, Downtown, Athens, Georgia, offers something to satisfy every craving and desire. &nbsp;Athens&apos; delectable food scene has exploded during recent years, and is now a well-known feature of the Classic City.&nbsp; I&nbsp;wanted to share a few of my favorite places with you, and I hope you will share yours with us! I&apos;m not the only one who has noticed the quality of Athens&apos; food, though, and several Athens restaurants have received well-deserved accolades. &nbsp;Hugh Acheson, who proved his culinary talent to the nation on the TV show Top Chef, &nbsp;has been "wow-ing" Athenians since 2000 at his signature restaurant,&nbsp;Five &amp; Ten. &nbsp;Food and Wine magazine named Hugh as one of America&apos;s Best New Chefs, and he won&nbsp;two James Beard Awards (the Oscars of the Food World) in 2012 one for Best Chef: Southeast, and the other for Best Cookbook for his "A New Turn in the South." &nbsp;Five &amp; Ten was also named Restaurant of the Year by the Atlanta Journal-Constitution in 2007 and won the Silver Spoon Award in Georgia Trend magazine. &nbsp;Last but not least, the restaurant is a semi-finalist for Best Wine Program in 2013. &nbsp;Acheson&apos;s latest endeavor is relocating the beloved Five &amp; Ten to the nearby Hawthorne House on South Milledge Avenue.&nbsp;&nbsp;Mary Charles Howard, the owner of Athens Food Tours, got all of the details in an interview with Hugh, which can be seen here! &nbsp;I personally had withdrawals from their Salmon Benedict even during the brief time they were closed for the move! Weaver D&apos;s Delicious Fine Foods is another spot that Athenians like to show off. &nbsp;With a thick home-cookin&apos;, country feel, you are sure to leave with an stomach full of juicy fried chicken, mac &apos;n cheese, and everything else you could dream of at a holiday meal. 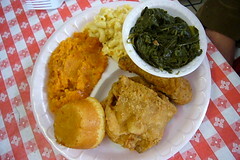 &nbsp;Weaver D&apos;s fine southern cooking was awarded the James Beard "American Classics" award in 2007. &nbsp;This place defines "soul food" with items such as fried green tomatoes, wings, stews, fried chicken, liver, fried okra, collards, pecan pie, and banana pudding - and don&apos;t forget your sweet tea! &nbsp;Whether it&apos;s your first or fortieth visit, bring the whole family and prepare to be stuffed! 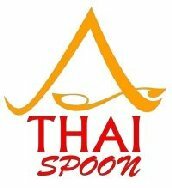 When you&apos;ve had your fill of fried chicken, venture out and try Thai Spoon, located on Lumpkin Street between Broad and Clayton. 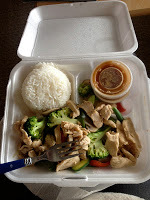 &nbsp;Their close-knit staff works hard and proudly serves some of the best Asian dishes in Athens. &nbsp;My ersonal favorite dishes include Masaman Curry, Yellow Caree Curry, and the Cashew Nuts entrees. &nbsp;Vegetarian options like tofu and veggie substitutes are available too. You won&apos;t regret trying this place! No matter if you&apos;re looking for a romantic date or an exciting party, Shokitini is a great dining choice for all occasions. &nbsp;A personal favorite of mine, Shokitini&apos;s Japanese fusion cuisine offers every sushi roll you can imagine as well as chicken, pork, lobster, steak, shrimp, salmon, calamari, scallops, and vegetable dishes. &nbsp;Perhaps the most unique aspect of this restaurant is their Karaoke rooms, which accommodate 6-30 people. &nbsp;Participants get to dine in a private room and be entertained by the fun that unfolds. 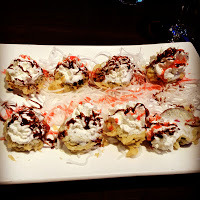 &nbsp;Oh, and the Fried Oreos (pictured below) might just change how you view dessert altogether. &nbsp;Delicious! Being a "foodie" at heart, I could truly go on forever recommending delicious Athens restaurants. &nbsp;Hopefully, you learned more about at least one of these places and will try them for yourself. &nbsp;However, an Athens food post isn&apos;t truly complete without a loving shout out to The Last Resort Grill and East West Bistro, traditional Classic City choices that have both been Wine Spectator Award of Excellence. &nbsp;No matter which Athens, Georgia eatery you choose, chances are you will enjoy every bite! &nbsp;We are interested to know your favorite Athens restaurants, so please comment and tell us about your favorite place!